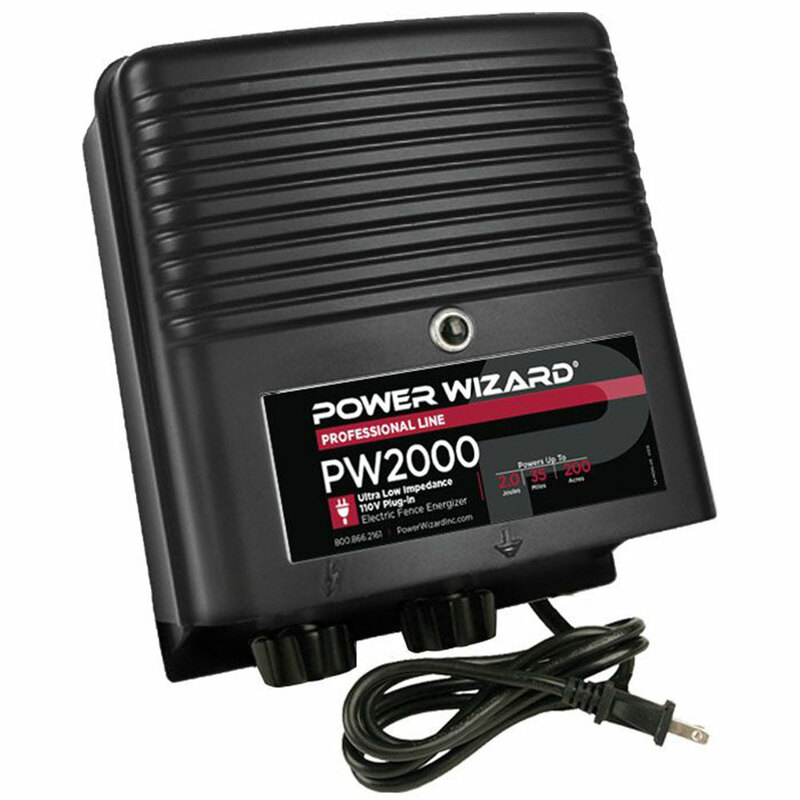 This low impedance power fence charger has an output of 2.00 joules. It controls up to 200 acres or 35 standard miles of wire. This charger is great for horses, cattle, pigs, sheep, and llamas. - "My charger is working great and I've had it for years."